The Honda TT legends are a Motorcycling team of exceptionally talented racers, including 19 time Isle of Man TT winner, John McGuiness, TT fastest newcomer in 2011, Simon Andrews, and 2 time TT winner, Cameron Donald, formed to contest the 2012 Endurance World Championship a series of 8 and 24hour team races on some of the world most famous circuits. 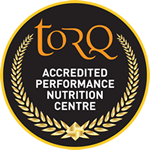 With the riders fuelled by TORQ, during 2012 the team took on 6 epics races from Germany to Japan, including the Bol D’Or 24hour, Northwest 200, Isle Of Man TT, Suzuka 8 Hours, Oshersleben 8 hours and the Le Mans 24 Grand Prix. Much like many of the endurance races that the TORQ Performance MTB Team take on, the TT legend have been racing over 8 and 24 hours in teams of 3, completing laps of some world famous race circuits and, although on 1000cc motorbikes and reaching speeds of upwards of 180mph, this is undeniably an energetic form of motorsport, where fitness and fuelling play a critical role in the team’s success. For the 2012 season, the team were followed exclusively in an access all areas, behind the scenes, eight part documentary by London based Gaucho Productions which is being aired on ITV4 over the coming weeks on Monday evenings at 20:30. See the preview for the series below.